Do you know who was on tour when you were born? And this was the inspiration for the search. 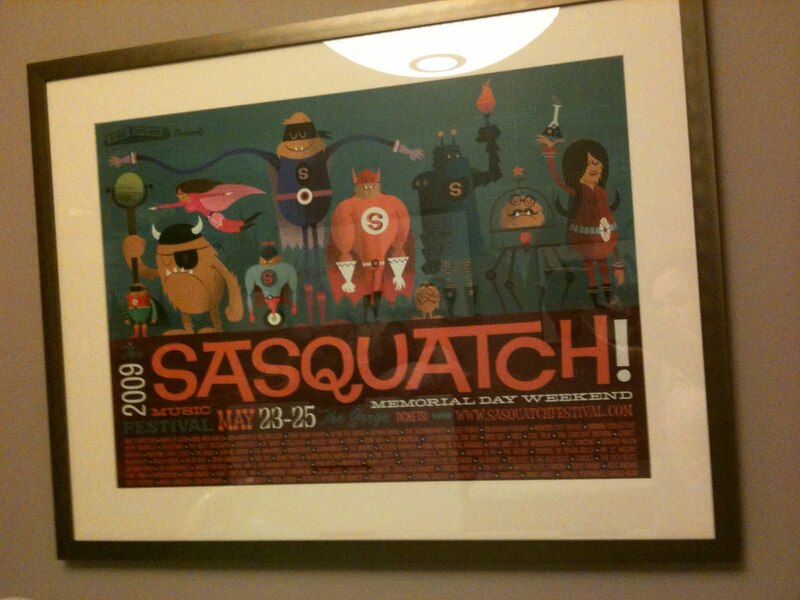 Although unable to attend the Sasquatch festival, which takes place every year near Seattle, we did buy the commemorative poster for the event, roughly two months before Fionn was born. Now, it’s become a familiar fixture in his room. 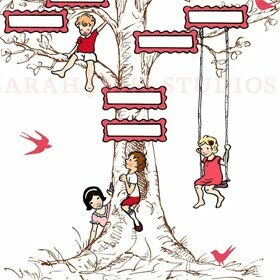 And sometimes, when he’s being carried around, we read him the names listed below the illustration. Fleet Foxes! Kings of Leon! Zach Galifianakis! Our own virtual time capsule of musical entertainment. So it got me thinking. 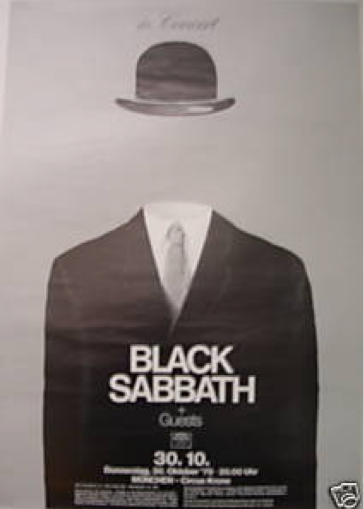 Why not use a concert poster to commemorate not only the event, but the blessed event as well? The great thing about the rock poster revival is that many of these pieces are true works of art. 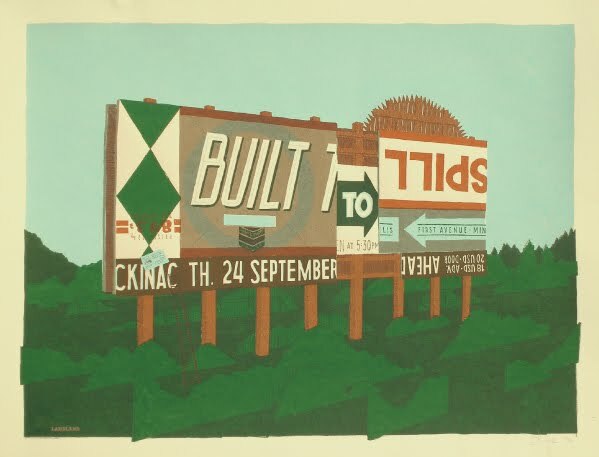 They’re often hand-pulled silkscreens on thick card stock, made in limited editions by real craftspeople, who then number and sign each one. 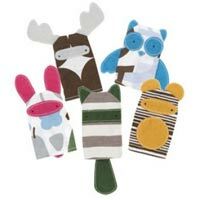 And many of them are designed in such a bold and colorful way that they’d be perfect for a kid’s room. If you have a favorite artist or band, you’re set. 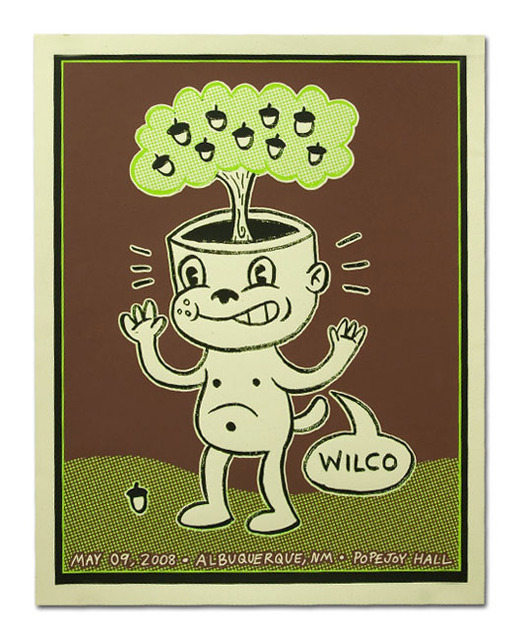 Wilco, for example, has some amazing prints available on their website. Or check out Poster Cabaret and go for a wander. It will take work to match up your child’s exact birth date to the date of the show being advertised, but I think matching the year is close enough. Then you’ll have a true record of what was going on – in the musical world, as well as in your life – when your new favorite person came into it. mom, when can I be a client? Having spent over a decade in the corporate world, certain items will always carry with them particular (and sometimes, peculiar) associations. Little round paper stickers will always be ‘power dots,’ used to select favorite ideas in brainstorming sessions. And dry-erase boards will always remind me of my office. One friend covered hers in flowers and doodles, another stored his favorite phone numbers, still a third used it to structure her arguments. That’s why I love this combination desk and dry-erase board by the folks at the Brooklyn Brothers, a great shop that does advertising and brand work while also inventing stuff like this. 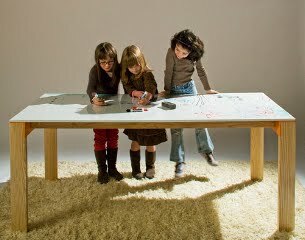 As opposed to a chalkboard desk, which is definitely ‘kid-like,’ dry-erase boards can’t help but make the young ones feel like grown-ups. And sometimes, vice-versa. Although not available at retailers yet, contact jessica@thebrooklynbrothers if you’re interested. Synchronicity, according to Jung (and Wikipedia) is the term used to describe a “temporally coincident occurrences of acausal events.” Basically, a meaningful coincidence (and yes, I nearly avoided the Police reference. Nearly.) Don’t think this really qualifies, but the sophomore effort from Vampire Weekend, Contra, ‘dropped’ almost TO THE DAY that I discovered this excellent canvas tote on llbean.com. So, in homage to madras, sail canvas, and the Upper West Side, here are some other outstanding examples of playful storage for kids’ rooms. First, my favorite Etsy finds. (Disclaimer: I found these items on my own, which means I haven’t been asked, or -heaven forbid- paid, to feature anything on my posts. When this happens, I’ll let you know). 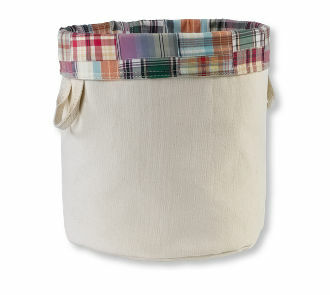 This one is handmade and hand-stenciled with the cutest red-ticking ribbon handles, and at a great price. The stencil can also be customized. 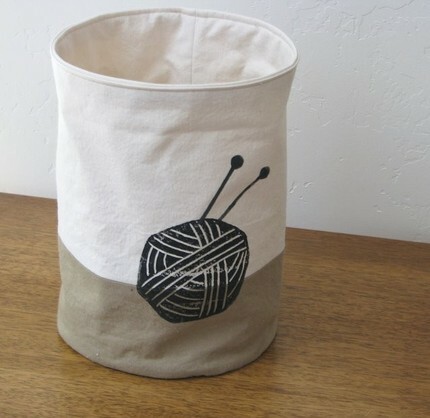 Now I love this one, but as it’s meant for yarn I assume it’s pretty small. But how great would it be for a desktop, to store mini-toys or Lego pieces? I’m not quite sure why they’re considered ‘boys’ buckets. I guess because the ‘girls’ ones are really, really pink with a capital P. But for what it’s worth, we now use these buckets for our two boys – the boy dog ended up getting one for his toys too. And, as with everything PBK, they can be customized (and probably monogrammed, to keep with the theme here). 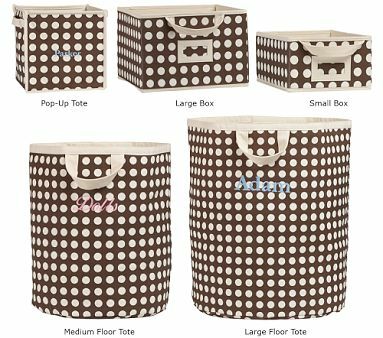 And I especially like these floor totes, which feel slightly more modern than most of the other items in the PBK catalog. (Make the dots touch, and you have a DwellStudio print). 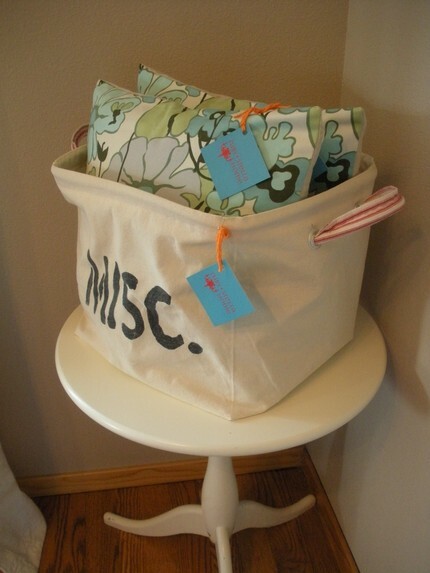 Lastly, thinking outside of the tote/bucket box, here’s a creative idea from Simply Sauce Designs, back on Etsy. I double-checked to make sure I got the price right. 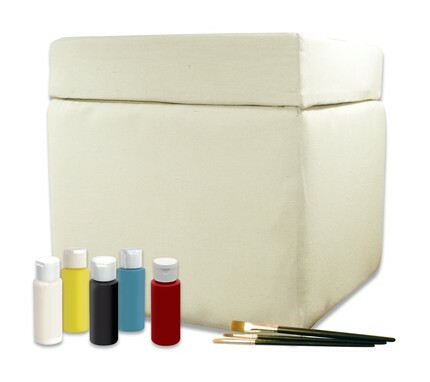 You get the store-and-stow ottoman, and from what I understand, five paint colors. You can even go to the craft store, get more paints, get more brushes, and voila, you have an afternoon decorating party. Baby was at Grandma and Grandpa’s last weekend, and Mummy and Daddy didn’t know what to do with themselves. 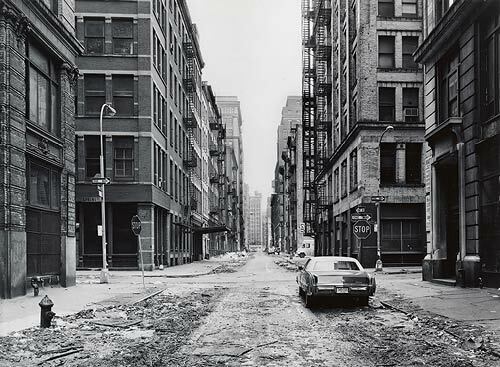 So we went into town (Manhattan, to us Brooklynites) and went for a stroll. Discovered a shop called Bobby Berk Home, apparently ” a definitive resource of affordable luxury for everything bed, bath and home” according to their website. Most of their merchandise consisted of things I’d seen before, but then I saw this desk. 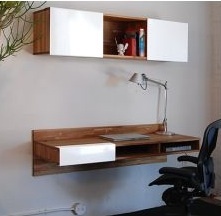 Gorgeous, but yes, $720 for some wood attached to a wall. 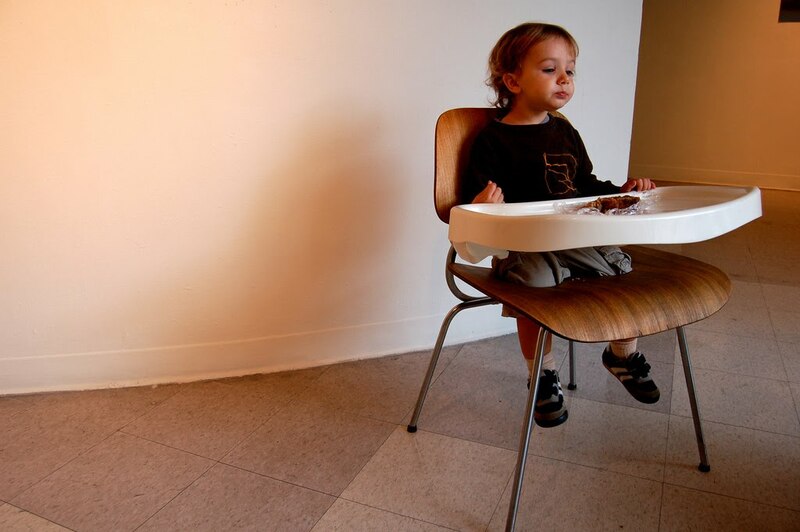 I wanted to see what other space-saving kid-friendly desks were out there. So I went to my new favorite website, Ikea Hacker, to see what enterprising solutions their readers had come up with. And there were two. The first (top) is more a purchase than a hack per se. 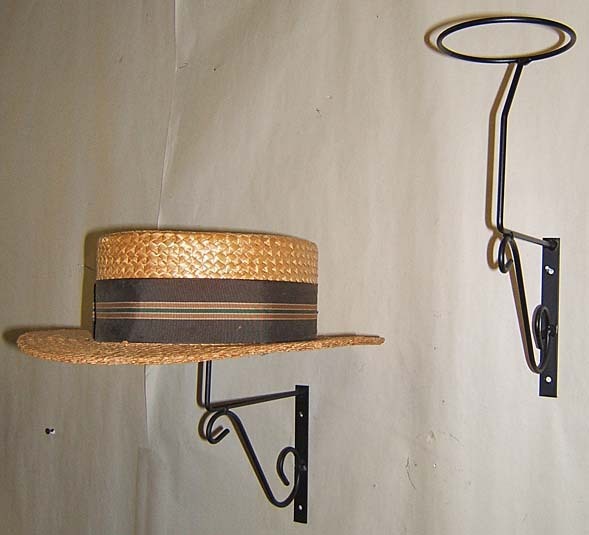 Apparently, there’s a new line called Ludvig which is wall-mounted like the Lax, above. 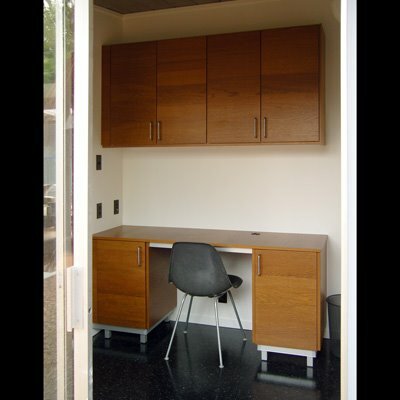 The second (bottom) is created by combining two cabinets, Ikea legs, and a door. 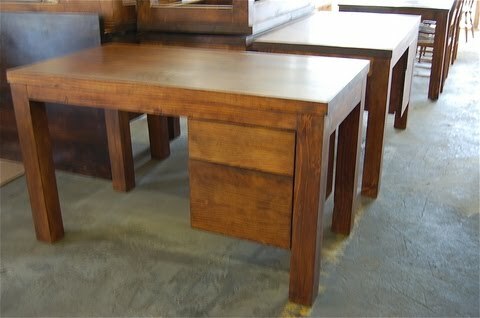 Of course, if you’re an Apartment Therapy reader, you know all about the perennial favorite West Elm Parsons desk. 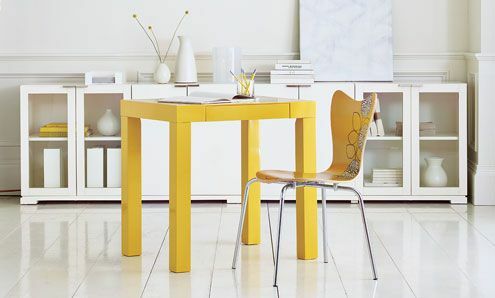 Now they make the Parsons desk in a smaller, kid-friendly size, and in a great new mustard (or yellow curry) color called Polished Tumeric. We have the Parsons storage tower at home, and really like it, but it has gotten quite scratched over the past year. I imagine these desks aren’t really built to last either. On that note, if you’re interested in a piece that actually improves with age (unlike the Ikeas and West Elms of the world) you might want to check out Lorimer Workshop. (Full disclosure: I’ve recently met David Ellison through his son and daughter-in-law, who are now good friends.) As I’d mentioned on earlier posts, I’m a true believer in having one or two ‘investment’ pieces of furniture to build a room around. They’re the pieces that accompany you on every move. They become part of your home and, most importantly, your family history. David makes each unique piece of furniture by hand out of salvaged wood. That means each piece is unique and made to fit your specifications. 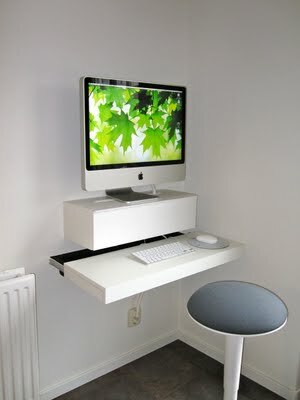 There are lots of examples on the website, but there’s something about this desk that makes me want to climb up on it and start drawing. Wish we had room to do this at home. I have an odd fascination with retail display fixtures. They just seem to hold so much possibility. Near my old office building, south of the Garment District by Penn Station, the streets are dotted with stores like this one (on 29th Street). Anyway, it got me thinking what else they could be used for. As mentioned in previous posts, we’re collectors here at the Daley house. (It only takes ‘just one more’ to go from a few to oh-crap-another-collection, natch.) So when I found these adorable DwellStudio puppets for Fionn’s room (at top), the race was on to figure out a proper display. How much fun would it be to fill this up with puppets, especially the kind sold by Underroos on Etsy? 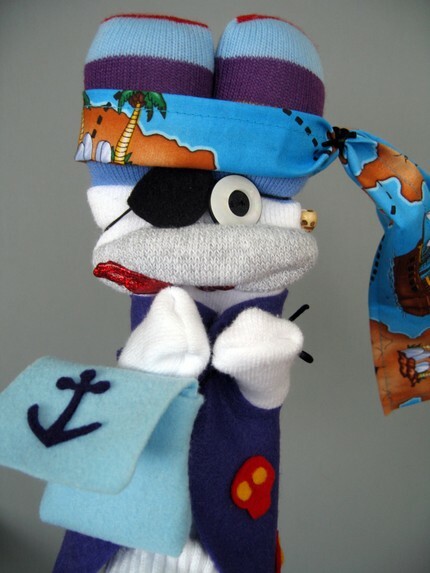 This one is Captain Blueshoes, but there are so many great “Sock Zombie” puppets to be found on in her store. There are tons more, new and vintage, to be found on Ebay. Have fun browsing. If only to answer the question, ‘why another design blog?’ to myself, I tasked myself with jotting down a list of guiding principles and beliefs about nursery interior design. I hope this (non-exhaustive) list will inspire parents and parents-to-be to think of decorating their kid’s room as something fun and exhilarating, instead of boring, daunting or intimidating. Besides Donatella Versace, who else wears one designer head to toe? Why would you do that to a room? Decorative and practical, Eames and Ikea, old and new – the contrast is what makes everything in your room feel more special, more unique, and more personal. Think that old sideboard from Grandma Stella won’t work in a baby’s room? Think again. If you’re lucky enough to be able to share things your grandparents grew up with, don’t think twice. You’ll have a great story, a lived-in feeling and the start of an eclectic collection. Besides, nothing makes a room feel more sterile and unfriendly than matchy-matchy and shiny-new. Things are going to get nicked, scratched, and scribbled on soon enough… you might as well get a head start. What’s’ your style? Classic? Ultra-modern? Shabby chic? Go for it. 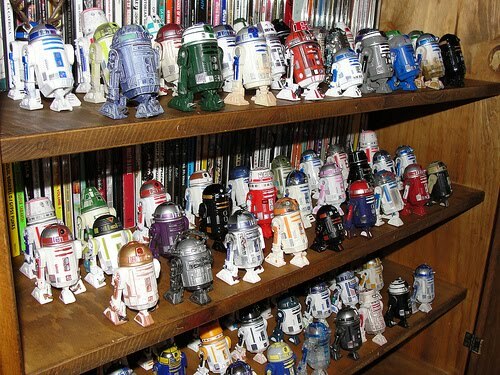 Do you have a collection? Use it. Before they become old enough to have their own passions, yours will do just fine. I strongly believe that passion is infectious, and the things that inspire you will inspire them too. I know it’s different in other parts of the US. But where I live, it’s not uncommon that a ‘nursery’ is really the walk-through part of a railroad flat, or the back wall of a home office. That’s why it’s especially important to love everything you put in your home. It means that you’ll never buy anything you feel ‘meh’ about. Really a continuation of the point above. 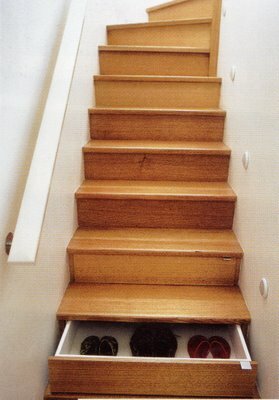 Because no matter how much room you have, you’ll always need more. Although it’s more the norm than the exception at my house, a messy, cluttered room really stresses me out. Great storage is the ultimate mood-lifter, like leaving the salon after a great haircut, or returning to a room after housekeeping’s been there. 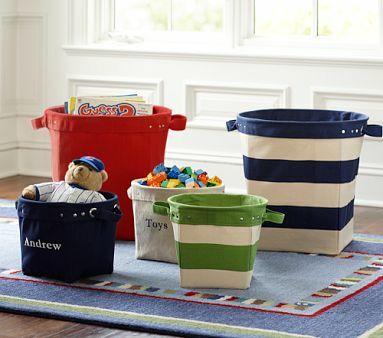 Luckily, there’s an entire cottage industry devoted to making the most of one’s storage space, and there are tons of tricks to keep kid-stuff clutter to a minimum. It drives me crazy when a child’s room is so removed from the rest of the decor of the house. Soothing hues are fantastic, but they don’t have to be basic. Consider that the Pantone solid color palette contains 1,114 colors. That’s a lot of choices. 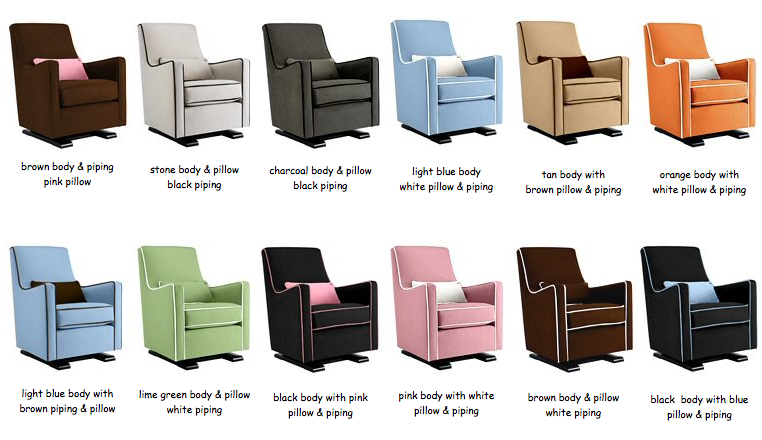 So think this way – what’s YOUR favorite color? What’s the color of your favorite throw pillow? Or crib sheet? Or silkscreen print? Find an inspiration point and THEN make it kid-friendly. As mentioned in previous posts, sometimes there are things you want to save money on. And there are other things you want to spend on. The trick is in maintaining a balance between the two. To illustrate point one, do you really love Serena and Lily bedding? 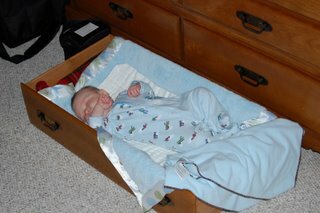 Then how about trying it with an Ikea Gulliver crib? Are you planning on spending hours in the rocking chair? Then maybe the Luca (below) isn’t such a crazy idea. Just try going easy on something else to balance it out. Lastly, there’s something that goes without saying, but I’ll say it anyway. No matter what you do/buy/design/decorate, quality and safety should be of utmost importance. Try the chemical-free paint, get the highly-rated crib, and do your best to think about the child who’s about to live in this new room of yours. To that end, I can’t recommend Baby Bargains and Consumer Reports highly enough. I’ve spent the past few days looking through kids’ bedding catalogs. And I’m realizing it’s like jean shopping. You proudly sport your Old Navy denim, quietly resenting that pair of Citizens wide-legs winking at you from the shop floor. Next time, you stare back. Then you return for the kill. And the $200 price tag stings, but you know you’re going to wear them every day. Figure out that cost equation, old wedding dress! You buy them, you flinch, you try on, you LOVE. Then a few weeks later, Mr Skinny Legs beckons from that copy of InStyle you’re reading at the hairdresser’s. And for some reason, the price doesn’t sting as much. Because you have a coupon, and you saved 20 dollars. $180? Bargain. This is how I’m starting to feel about $400 for a crib set. Is it wrong? I’m not sure. But it sure is damn gorgeous. 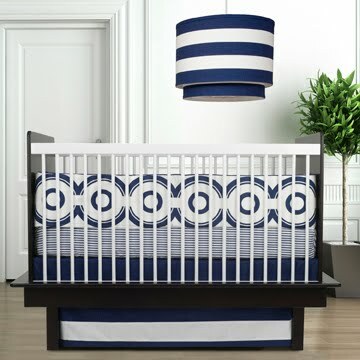 Navy blue modern shapes for crib bedding? More, please.